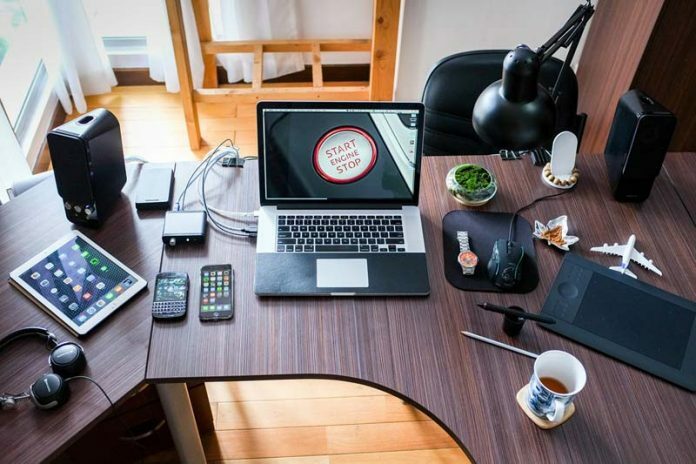 7 Amazing Ways to Build a Healthy Workspace : A working place needs an environment which is welcoming and allows you to do your work with ease. If you have held up the workspace with make-do materials, remains unclean for days and gives off a dreadful aura; it is not a suitable place. If you have hostility between your co-workers or stay alone, you would not go to work willingly. Before starting work or making any efforts, a profession and organized space are necessary. If you have the option of getting your chair and desk, purchase the kind which suits your posture and adjustable. Leather chairs with wheels and a bendable back are much appreciated as they comfort the entire body. Have adjustable height desks to suit your needs if you want to do the work in a proper position or a relaxed one. Office workspaces are challenging to manage compared to at home. Fret not though, if allowed make purchases to improve you place yourself without cluttering your office or cubicle. At home, it is much it not many troubles to be concerned about cleanliness. Keep in mind the clean your table with a surface cleaner. Put all work materials into tubs or drawers. Documents should be filed in binders and place on the table or attach a bookshelf on top of the table. Clean up a little every day to avoid the hassle of a monthly, big clean up. However, the scenarios at companies differ. You have to interact with various people all the time; keep a sanitizer or wash your hands after specified intervals. Keep a distance from people who are in contact with any illnesses. You may be short on time but make sure to also eat well and in a neat and proper place. Having hostile co-workers is never good for your health. There are people older and younger than you, and there are seniors and juniors. Having the same attitude towards everyone is not a good thing. You need to be loyal and obedient to your bosses, kind and helpful to your juniors. Make more friends and allies than enemies. Do not indulge in meaningless banter. Finish work on time to prevent from going overtime. Never complicate an existing problem, instead find a solution. Help your co-workers do the same. Make a role model for yourself rather than a troublemaker image. Make sure that the room is well lit, enough to do delicate work as well. A dimly lit room can prove to be harmful to your eyesight. There should be a supplied water dispenser nearby. If there isn’t a water dispenser, try to put a bottle of water on the table and use it to stay well hydrated. Your place should have proper ventilation and air flow, be it off the air conditioner or fan. The air should not only be flowing but also clean. There should be air purifier in the room. A relatively new idea about being healthy in your work involves standing desks. Standing desks are ordinary desks that you stand and work on instead of sitting. I believe that was self-explanatory. There is a modification of this desk known as the stand-sit desk on which you can sit or stand, depending on what your mood is at that time. It has so many health benefits. Standing while working will keep you more active, productive, and alert. If your chair is too comfortable, sitting might help you doze off. Other than that, you can also buy a stationary bike that you can hop on too if you feel like your legs have been still for too long. The best office environment is one which is to your liking. Try to decorate your office when you have some money to spare. Put small potted plants on the table and near your seat. Put decorated picture frames of your friends and family or even your pet to serve as motivation. Small stuffed toys or action figures of your favorite should be put for you to fiddle and give the people around you a little idea of your personality if you are a reader then put some books other than work related books to read during your free time. Sometimes in the middle of work, you tend to forget your health. Always stack your drawers with instant food such as cookies, granola bars or even crisps. Be sure to eat and drink even in the middle of work. Keep chocolate as it fills your belly also increases productivity. Give some of these out to your co-workers when it seems as if they are under pressure. It builds a respectable image for you. Restock whenever you think you are low on food. Do not, however, eat whole meals at your workspace as they might damage your materials due to carelessness. What Does It Take to Build a Healthy Workplace?